David Reynolds set the fastest time in opening practice at The Bend Motorsport Park for this weekend’s Australian GT Championship race at the South Australian circuit. Reynolds set a 3:33.724s lap to head the timing sheets but more than half a second from Tony D’Alberto, both drivers in Mercedes-AMG GT3s. 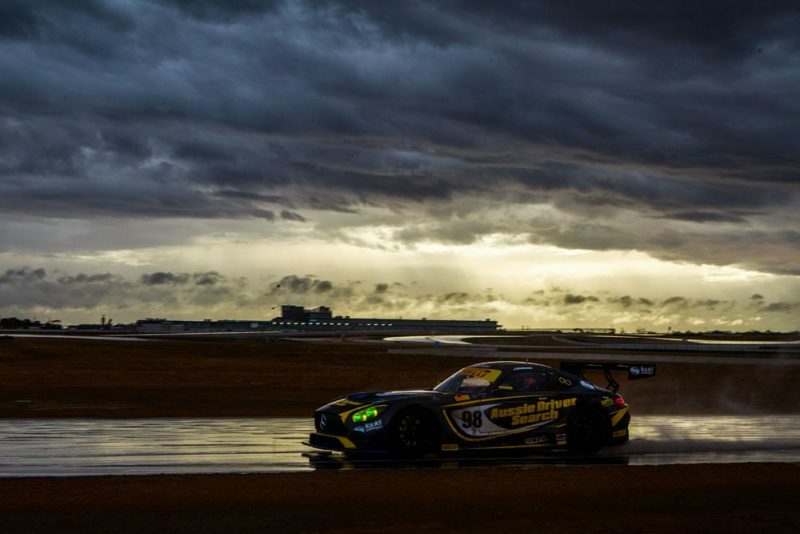 A sandstorm hit the circuit minutes before the sole Australian GT practice session of the day, and was quickly followed by a rain shower that lasted its 60-minute duration. The slippery surface initially saw times approach the four-minute marker before falling dramatically as the session progressed. 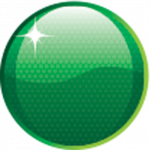 Times in the dry are expected to be in the low-three-minutes, though no official dry running has yet been recorded. Reynolds will share the Mercedes with championship leader Jaie Robson, while Max Twigg is partnering D’Alberto. Shane van Gisbergen was third best in the McLaren he’s sharing with Tony Quinn, while Garth Tander and Geoff Emery were 10th best. Australian GT has two qualifying sessions tomorrow before the first hour of its split three-hour race which headlines Shannons Nationals. Two practice sessions Porshce GT3 Cup Challnege saw Cooper Murray end the day with the fastest time. Murray set the 1:54.4382s time in the day’s second session to head Jimmy Vernon, Max Vidau, and 23Red Racing’s Luis Leeds. The top four were split by less than a second with Simon Fallon in fifth for Sonic Motor Racing. GT3 Cup Challenge returns to the International circuit at The Bend on Saturday for qualifying at 1000. Peter Paddon set the Australian Prototype Series benchmark at 1:53.2514s, 0.5s ahead of Kim Burke. Darren Barlow was the first of the P1 contenders in practice, his 1m54.2093s less than one second behind the fastest Radical and comfortably quicker than his next best rival. His Garth Walden Racing teammate Chris Perini was fourth in his Radical, while John-Paul Drake set a 1:55.2452s lap in his Wolf GB08 CN Prototype to complete the top five, the fastest of the Kumho Cup runners. A sole qualifying session at 0840 on Saturday morning precedes a trio of races on Sunday. Kim Burke banked the fastest time across the three Radical Australia Cup sessions, his 1:53.3944s lap just over a third of a second quicker than the Peter Paddon/Tony D’Alberto combination. Next best was James Winslow, just 0.0015s off the back of Paddon/D’Alberto, with the top five completed by Chris Perini and Chris Medland. Radical Australia Cup qualifies at 0800 on Saturday befor ethe first of its two 50-minute races for the weekend. Topping the 28-car Sports Sedan field, Steve Tamasi set a 1:52.5291s lap in the third practice session of the day. Tamasi was almost 0.8s quicker than Tickford Super2 racer Thomas Randle with Tony Ricciardello third. The opening Sports Sedan race of the weekend begins at 1630, following qualifying at 1025. Jack Le Brocq set a 2:05.9634s lap in a Ford Sierra to claim the Heritage Touring Cars pole by more than seven seconds. The Tekno Autosports racer was the only driver in the field to dip below 2:10, with Tony Karanfilovski recording a 2:13.1333s time to join Le Brocq on the front row. Third was Terry Lawlor, making for a Sierra 1-2-3. Heritage Touring Cars will be on track twice on Saturday for a brace of races. Rusty French has qualified his DeTomaso Panter on pole ahead of Doug Barbour in Group S Racing. Barbour was at the head of a trio of Porsche 911s with James Calvert-Jones, and Tony Floreani next best. A fourth Porsche, the 928 of Tom Walstab, rounded out the top five. Two Group S races on Saturday, the first starting at 0935, are followed by two more on Sunday.